+.66....This trade brings me flat for the year. Shorted three different levels today. The first one was an attempt to get on board a continuation trade. Three tick loss. Second one was the current day VAH along with yesterday's VAL. This one stopped at BE. 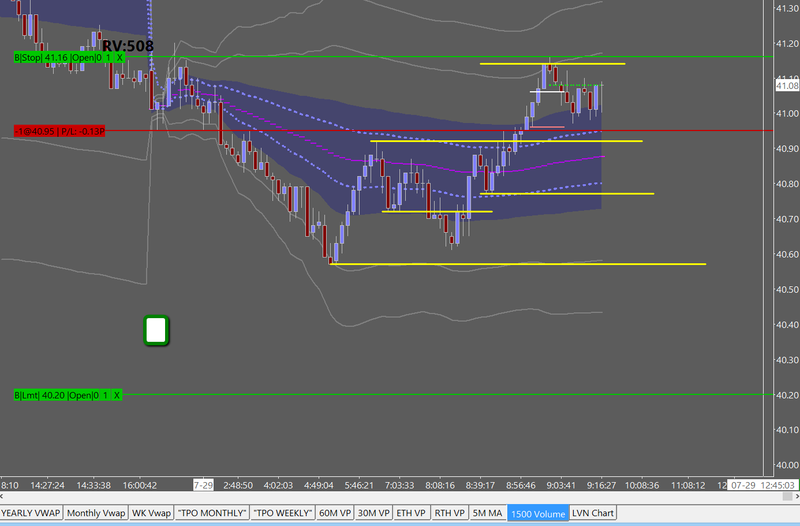 Last one was a re-short of this same level. Stop was placed above yesterday's POC which is where the price eventually stopped and reversed back down to the current day VAL where it found support and I trailed out a few bars later as it found support. I added one lot as it broke through support and re-tested that level. Price has rebounded as I write this to the previous VAL and is making new highs....looks like the longs from the VAL was the trade of the day and the one I should have been looking for but context was down so went with the shorts. Risk on the first trade was minimal, second trade was same as the third trade but for some reason I elected to go BE but I immediately re-shorted just a few ticks higher and put the stop in the correct place. This was the first time in my trading career I've taken the correct risk AND held it through the draw down to allow it to work itself out. I'm going to start posting here again. 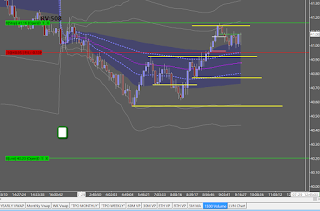 I've been on a hiatus from posting because I've been learning Market Profile and its companion, Volume Profile. It's been an arduous journey so far, but I think I am on my way to finally becoming a consistent profitable trader. I still have much to learn. This journal will be a repository for that knowledge. If, you've read anything I've ever posted before, you know I have been profitable and then not. Its been a very frustrating and seemingly almost impossible task to become and stay profitable. But today, while I lost 1% in the market, I finally think its possible FOR ME to be the trader I've always dreamed of being. You will notice all my prior posts are gone. I archived them all. This blog is now about my market and volume profile journey. 3. Money management in terms of increased INITIAL position size when account size warrants and adding to trades as they progress. I'll try to get my homework charts up prior to the trading day starting or at least take pictures of them after the homework is finished and then a post trading wrap up picture or video. The videos might come less often due to my schedule but I will when I can. On a side note, I have switched to Sierra Charts because of how well it creates and handles profile charts. Once I did this, I noticed how incredibly stable the platform is. You might consider moving over to SC. I resisted but in the end, I'm glad I did. Lastly, I intend to report winners and losers in terms of account size percentages. This is a more accurate manner to report earnings because its consistent across all account sizes.